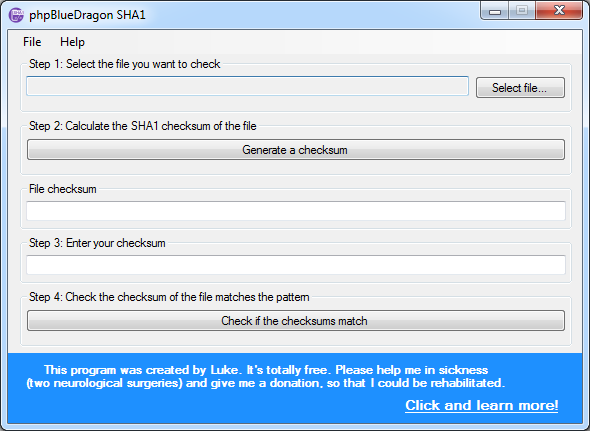 Generates SHA1 checksum of the file which you add using the browse button to the program. It also allows you to verify that it matches the SHA1 code found on the webpage from download. This allows us to verify that the downloaded file in its entirety, as well as to verify whether it was added to the code of additional programs.